Eyeskate at the London Eye once again brings winter fun to the banks of the Thames! It wouldn’t be winter in London without a visit (or two or three or more!) to one of the fun pop up ice rinks set in some of the city’s most iconic spots. Take a spin on the ice at the Tower of London, enjoy a romantic skate at the London Eye or head to the UK’s largest ice rink at Winter Wonderland in Hyde Park. 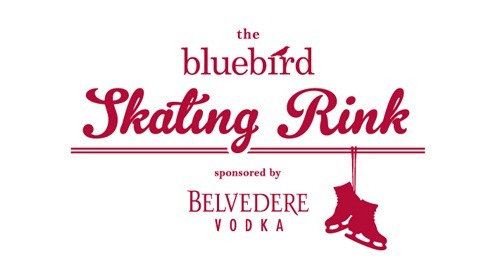 This year London welcomes a brand new ice rink with Ice Skating at Bluebird in Chelsea. With ice skating a popular winter activity for Londoners and visitors, we highly recommend booking your tickets or timed sessions in advance online. 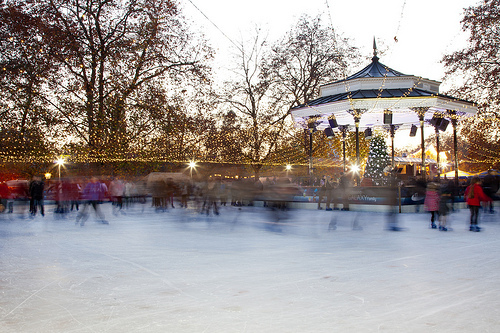 Read on to find out all the best spots to go ice skating this winter in London! The first ice rink to kick off this year’s ice skating season in London, the Canary Wharf Ice Rink is also the longest running this winter. Open for 16 weeks from the end of October to just past Valentine’s Day next year, there’s plenty of time to get over to Canary Wharf to experience this huge and fun ice rink. Set amidst the soaring buildings of Canada Square, this is the perfect time of year to check out one of London’s hip and lively shopping areas. Take a spin along the skate path (even longer this year than last year!) under the twinkling fairy lights in this romantic yet strikingly urban London setting. 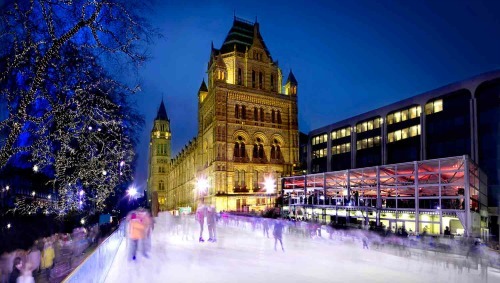 Set against the backdrop of the stunning Natural History Museum in South Kensington, this is one of our favourite London ice rinks. The setting is magical with over 76,000 fairy lights and 1,000 square metres of skating space. A winter Café Bar to warm up, a junior rink for beginners and a cheery carousel make this a fun choice for the whole family! Cozy up with your loved one with a warm and festive drink after taking a twirl around the ice rink. Perfect for a bit of holiday fun while enjoying a break from museum going in South Kensington! Ice skating fans and Chelsea lovers are thrilled this year with the opening of the new pop up ice rink at the lovely Bluebird Chelsea Restaurant. Great food, a glamourous ice rink and a festive atmosphere all surrounded by the fabulous shopping of Chelsea … what’s not to love? Take a break from shopping along King’s Road to warm up with a festive drink or meal before hitting the ice for a twirl in one of London’s most stylish settings. Find out more about the Bluebird Skating Rink. Called “The coolest rink of all” by The Sunday Times, Londoners and visitors alike love the Skate ice rink at Somerset House. 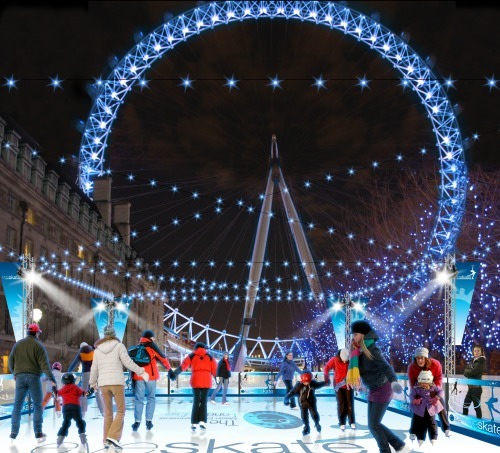 With a stunning setting and great location right off the Strand, the Skate ice rink is a hub of winter fun in London. Take a spin around with the family during the day or head to one of the Club Nights for a hip setting and live soundtrack spun by top DJs. Enjoy shopping at The Christmas Arcade, a stunning pop up shopping spot featuring the best of British brands and creations by independent artisans. There’s a Skate School for anyone looking to build more confidence on the ice, and little ones can learn to take a spin around the rink with ever so cute Penguin Club. Find out more about Skate at Somerset House. The Tower of London – one of the most evocative settings for ice skating in London! 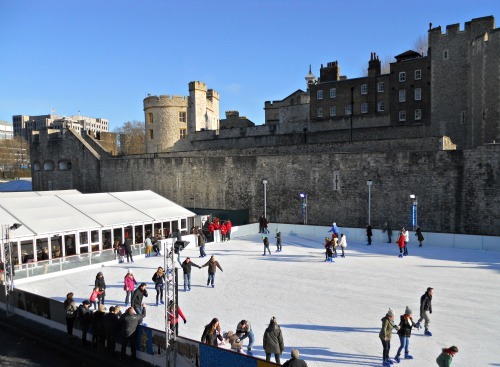 One of the most spectacular settings for ice skating in London, the Tower of London ice rink is located right in the moat of one of the city’s most important landmarks. Take a spin around the ice rink under the iconic battlements and crenelated towers before or after your visit to the Tower of London this winter. There’s also an Ice Bar & Café serving up warming winter drinks and festive treats. Due to the popularity and fantastic historic setting, this is one ice rink you’ll want to be sure to book your tickets in advance to avoid long waits. The rink is open all day and into the night and is beautifully lit after dark! Find out more about the Ice Skating at the Tower of London. Shopping and ice skating under the same roof at Westfield London! 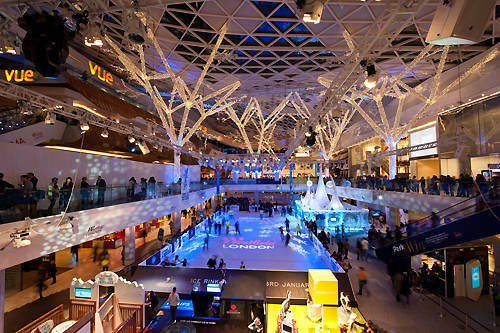 Certainly one of the most unique ice rinks, Westfield London is the one stop spot for holiday shopping and ice skating all under one rook. The Westfield Shopping Centre in Shepherd’s Bush is one of the London’s largest shopping malls and is a dreamy setting for holiday shoppers. You’ll find a marvelous selection of shops, from popular to the biggest names in fashion, as well as a large indoor ice rink when you’re ready for a break from shopping. 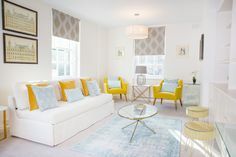 Westfield London is located very near the Notting Hill and Kensington neighbourhoods and is easily accessible on the Tube from all spots in central London. Find out more about the Westfield Shopping Centre Ice Rink. For winter fun for the whole family, head to Winter Wonderland in Hyde Park! Once again Winter Wonderland will be home to the UK’s largest ice rink. The little ones will enjoy the rides, ice sculptures in the Magical Ice Kingdom, Christmas Circus and Santa Land. Take a ride around the Giant Observation Wheel for a view overlooking Hyde Park and top off the holiday fun with a stroll through the Christmas Market complete with festive drinks, snacks and food vendors. 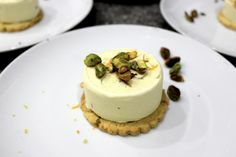 You might need a spin around the ice rink after sampling all the tempting treats! Find out more about Winter Wonderland in Hyde Park. Since its opening on the banks of the Thames in 2000, the London Eye has become one of London’s iconic sights. If you haven’t taken a “flight” on the London Eye yet, it’s a fabulous way to enjoy views overlooking London and the Thames. 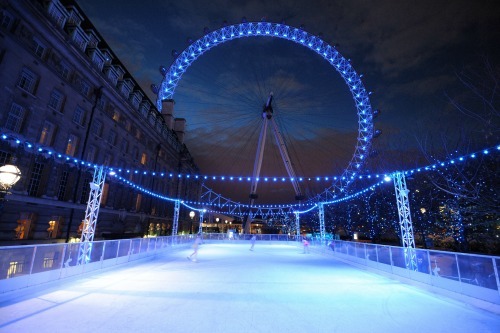 Then head over to the nearby ice rink to try your hand at “Eyeskating” against the backdrop of the London Eye. It’s a magical setting at night with fairy lights and the glowing lights of the London Eye. Tickets for the timed skating sessions are sold online, and we suggest booking your tickets in advance for ice skating at the London Eye. Find out more about Eyeskating at the London Eye. 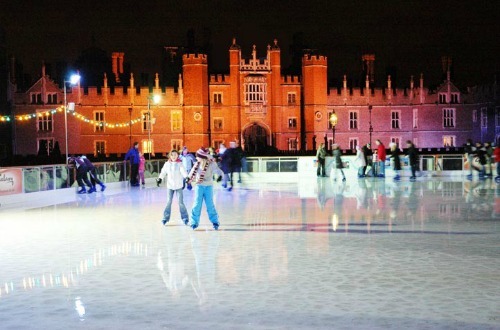 The ice rink at Hampton Court Palace is a magical setting for ice skating during the holiday season. 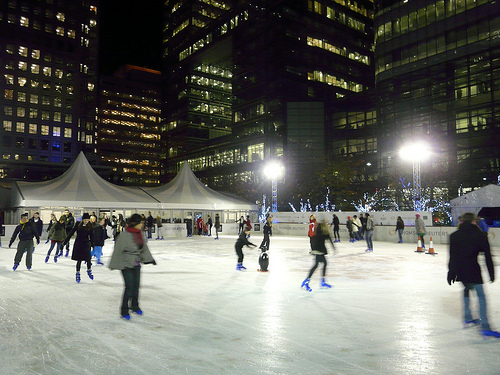 This year the ice rink is open until January 12, a little later than most of the ice rinks in central London except the rink at Canary Wharf. Hampton Court Palace is an easy 30 minute train tide from London’s Waterloo station via the South West train line. Take a trip outside of London to see Hampton Court Palace, once the royal residence of King Henry VIII, and after your visit take a spin around the ice rink with the beautiful Palace in the background. It’s especially lovely at night! PREVIOUS: Regent Street Christmas Lights Switch On! NEXT: Discover London on a Bus Tour! 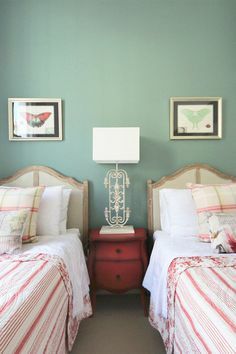 Posted on Monday, November 25th, 2013 at 1:04 pm in See & Do. You can follow any responses to this entry through the RSS 2.0 feed. You can leave a response, or trackback from your own site. Last Weekend for Ice Skating in London Where to Go Ice Skating in London Where to Go Ice Skating in London The Best Ice Skating Rinks In London This Year!